2014 will soon be here, and with it comes mobile marketing opportunities for the Hardware Retail Industry. How do you plan on attracting your ‘do-it-yourself’ consumer, especially those who are making majority of their shopping decisions through their mobile phones? 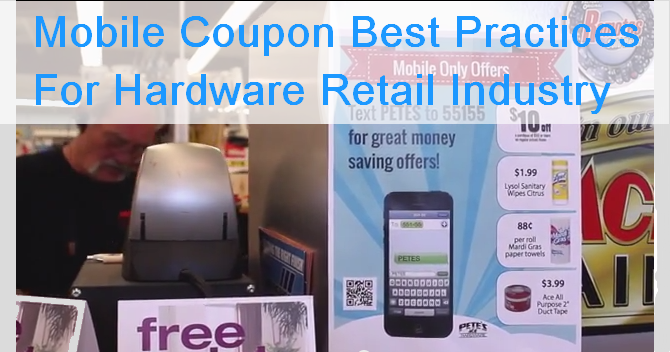 Join us on December 17th, 2013 at 11am PST (2pm EST), for our webinar where you can learn the Mobile Coupon Best Practices from case studies of hardware retail businesses. In 30 minutes, you’ll gain insight into how mobile coupons are being used by the Hardware Retail Industry and more importantly, what is the ROI you can expect with mobile? 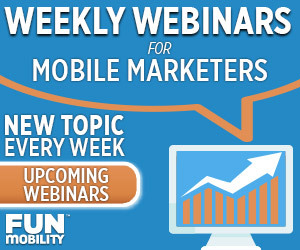 If you are interested in finding out how mobile can work for you, then you won’t want to miss this Free Webinar. We’ll discuss how mobile can enhance your current marketing strategy and help you understand why it’s essential to at least understand how it works.